Please be aware that Allandale Mansion and Allandale Vintage Barns are the spot for many weddings and other events and we cannot generally accommodate day-of prom photos (or other types of drop-in photo sessions). We ask that you please respect our renters and check our event schedule before planning a visit. Photo sessions are $50/hour for the grounds and $75/hour for inside the Mansion, two hour minimum. You may book photo sessions in advance by calling 423-229-9422. Thank you so much for your understanding and cooperation! There are many exciting things coming up this spring and summer at Allandale! March 25: Join us for the annual Easter Egg Roll from 1:00 – 3:00, presented by Kingsport Parks and Recreation. Free for kids 10 and under. July 15: Fun Fest at Allandale! Stay tuned for more information on this family fun day with food trucks, croquet, and an open house. July 29: We are excited to welcome Symphony of the Mountain to our lovely Amphitheater once again. Stay tuned for more details! August Entertainment Series: Join us the first four Thursdays in August for our annual entertainment series, presented by the Friends of Allandale. Check back later to see which talented acts you can look forward to seeing! Please take our Kingsport Parks and Rec Survey! If you want to help shape the future of Kingsport Parks and Recreation, including parks, sports leagues and more, please take a few minutes and fill out a quick survey! http://allandalemansion.com/wp-content/uploads/2014/06/frontlawn.jpg 1500 2250 Jennifer Henry http://allandalemansion.com/wp-content/uploads/2014/06/blueovallogosm.png Jennifer Henry2018-02-28 14:23:022018-02-28 14:23:42Please take our Kingsport Parks and Rec Survey! Join us for some springtime fun at the annual Easter Egg Roll at Allandale! March 25, 2018 from 1:00 – 3:00 – fun and games for kids 10 and under. Spring 2018 – Act Now! We still have a limited number of dates available for Spring 2018 – act now to book your special day at a piece of Kingsport history! We’re also taking bookings for 2019 and even 2020 – it’s never to early to book with Allandale. We strive to provide affordable elegance for any season. Come see us this Sunday, February 11, at the Pink Bride Wedding Show. Held at the Meadowview Convention Center from 12-4, this spectacular event is one you won’t want to miss! http://allandalemansion.com/wp-content/uploads/2014/06/L11_3907_8_9-Edit.jpg 2071 4922 Jennifer Henry http://allandalemansion.com/wp-content/uploads/2014/06/blueovallogosm.png Jennifer Henry2018-02-08 13:44:312018-02-15 13:26:32Spring 2018 - Act Now! We’re pleased to share with you details regarding our 2017 holiday tours! 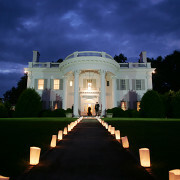 This yearly event is a great chance for the community to come enjoy the beauty of the Mansion. Admission: $3.00 (adults and children 12+), $1.00 (children 7-12), and free admission for children under 7. Santa Claus will be joining us on **SUNDAY ONLY** from 2:00 – 4:00. The elegant Allandale Belles will be at the Mansion both days. Call us at (423)229-9422 if you have any questions. We have several exciting events coming up, so mark your calendars! November 25, 2017 from 10:00 AM – 2:00 PM. Still looking for that perfect place to throw your holiday party? Look no further than the stunningly decorated Allandale Mansion! Call us at 423-229-9422 to explore available dates and get information on our (incredibly affordable) rates. Join us for our August Entertainment Series! Join us for our August Entertainment, featuring several talented guests! We’ll also have Foodie Fiction food truck and Sleepy Owl Brewery joining us for some refreshments. For ONLY our August 17th event, we have the joy of welcoming Auntie Ruth’s Doughnuts. Bring a lawn chair or a blanket and come on out! The event opens at 6PM, and the entertainment begins at 7PM. We look forward to seeing you! Call (423)229-9422 with any questions. http://allandalemansion.com/wp-content/uploads/2014/06/amphitheater.jpg 630 1526 Jennifer Henry http://allandalemansion.com/wp-content/uploads/2014/06/blueovallogosm.png Jennifer Henry2017-08-03 18:25:592017-08-03 18:26:41Join us for our August Entertainment Series! Join us for Kingsport Parks and Recreation’s Annual Easter Egg Roll at Allandale Mansion! Fun and activities for kids! This is a free event for kids ages 10 and under.